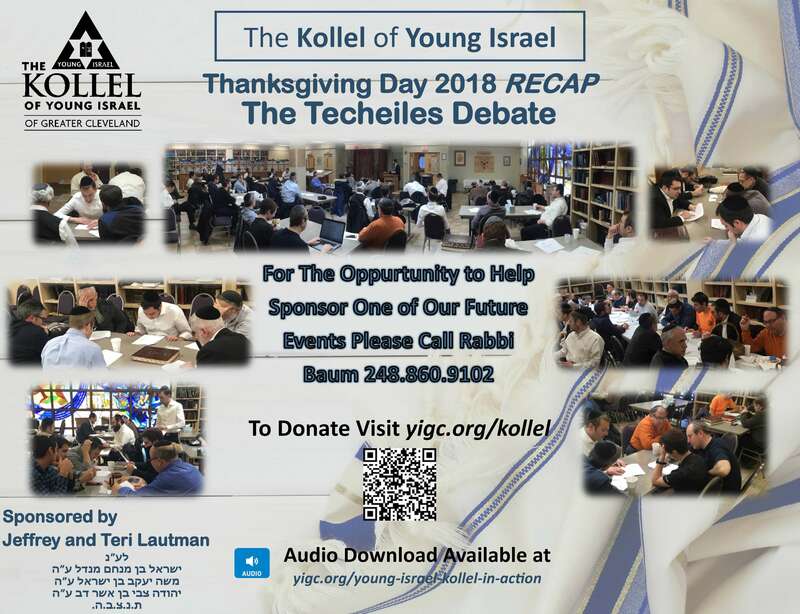 Traditionally, a kollel is the embodiment of the Yissachar-Zevulun partnership, in which income earners support Torah learners for the betterment of the community as a whole. A contemporary kollel typically serves as a center for adult Jewish education at all levels, making classical Jewish education accessible to all. For its members, the kollel cultivates Torah scholarship, advancing the depth of Torah thought in individuals who will likely go on to leadership roles in the Jewish community. Today, a community kollel is viewed as an investment in the future of Jewish leadership, thought and practice. 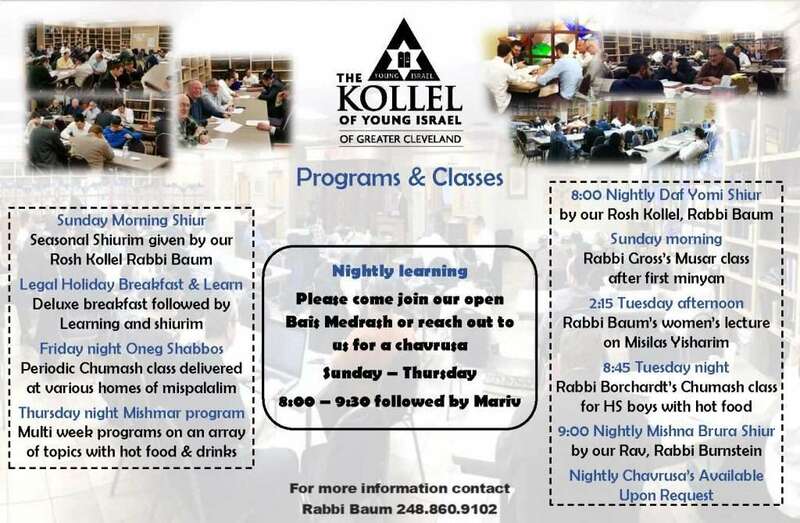 All Kollel programs are held at the Beachwood branch unless otherwise noted. 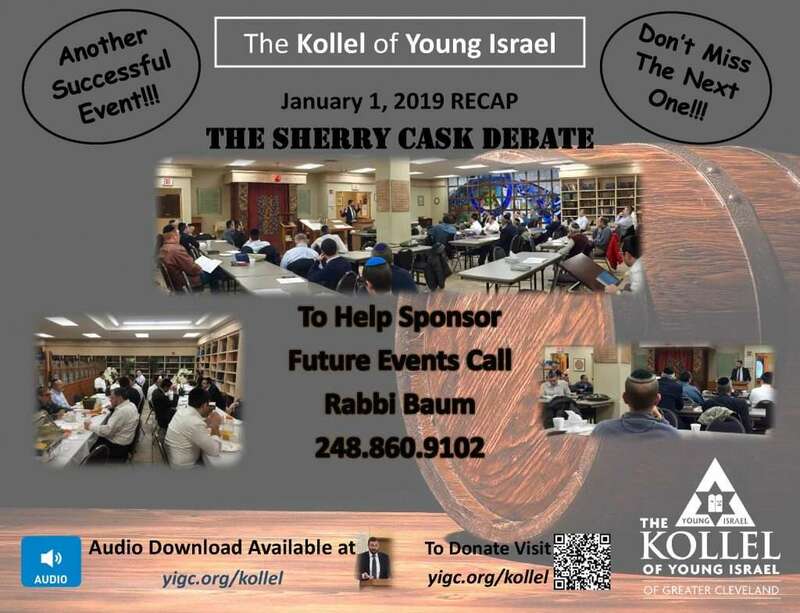 The Kollel of Young Israel aims to enhance the vibrancy and ruach of the Young Israel of Greater Cleveland as a makom Torah by encouraging all shul members to learn Torah. 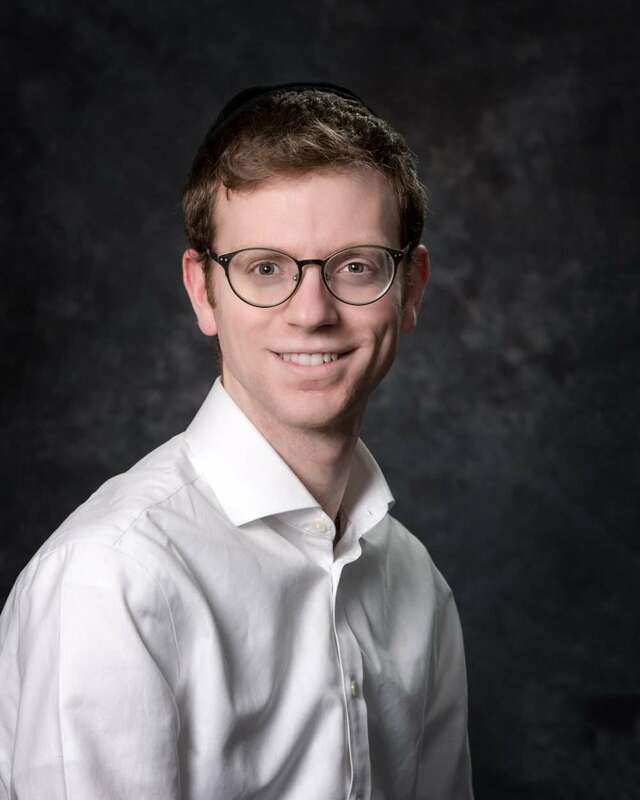 Our dynamic Kollel Fellows are Bnei Torah, adept at the highest caliber of Torah learning and who enthusiastically interact with Jews of all stripes. Reach out to members of the kollel for a one-on-one chavrusa, assistance with bar mitzvah preparation or a dvar Torah for your Shabbos table. Rabbi Baum comes to us from Detroit where he served as Director of of Alumni at Yeshiva Beth Yehudah and as Rosh Chaburah of the night seder under Rabbi Doniel Neustadt, (formerly of YIGC). He also taught at Bais Yaakov in Detroit. Previously, the Baum family lived in Ottawa, Canada, where Rabbi Baum earned smicha and served as Rabbi of the Young Israel. 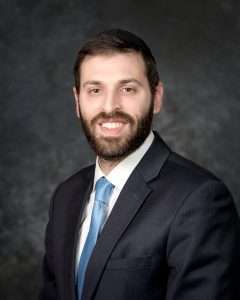 Rabbi Baum learned at Yeshiva of Long Beach and at Brisk. He is married to Menucha (nee Tendler) Baum. Menucha is the Logistics Coordinator for Nouveau Fine Arts, an operator of galleries in Israel and Mexico. The Baums have seven children. Rabbi Baum can be reached at (248) 860-9102 or via email at rszbaum@gmail.com. Rabbi Borchardt attended Yeshivas Ner Moshe in Givat Shaul and Beth Medrash Govoha in Lakewood. Previously he learned at the Mir Yeshiva in Brooklyn. 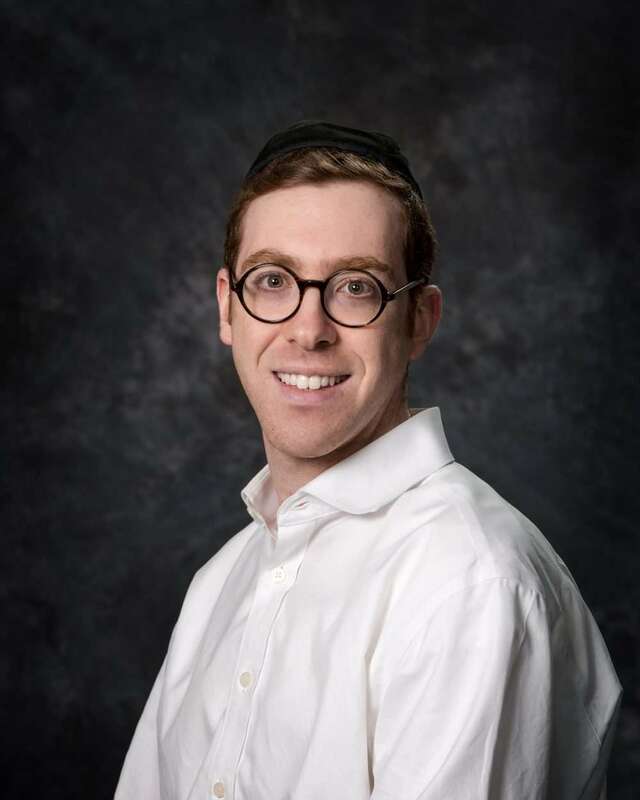 Rabbi Borchardt has served as a mentor and tutor for young men at camp and in yeshiva. He has published a sefer entitled Meor Mordechai, which discusses a number of distinct issues in the Gemara. 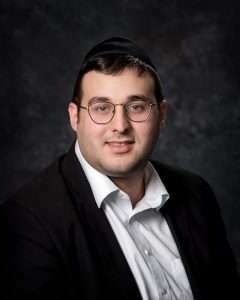 Rabbi Borchardt is married to Avigail Borchardt who is an administrative assistant in a real estate management firm. The couple has three children. Originally from St. Louis, Rabbi Greenblatt studied at Yeshiva Gedolah of Toronto, Ner Yisrael in Baltimore and the Yeshiva of Rav Dovid Soloveichik in Jerusalem. He also learned at Beth Medrash Govoha in Lakewood, where he led a Daf Yomi shiur. Rabbi Greenblatt is keenly interested in aspects of Torah that deal with sacrifices and other Temple-related matters. His wife, Sara Chava teaches piano and enjoys producing musical theater. She is a nursing home billing specialist. The Greenblatts have three children. 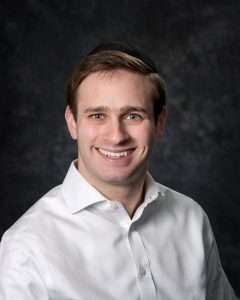 Rabbi Gross studied at the Mir Yeshiva and Beth Medrash Govoha. He has experience as a tutor, mentor, classroom teacher and community scholar. Originally from Baltimore, Rivka Miriam Gross works as a Medicaid supervisor for Senior Planning Services of New Jersey. The Grosses have completed the Ner LeElef Rabbinic Training Program, a dynamic two-year course designed to build inspiring Jewish leaders who will bring vibrancy to Jewish communities. The couple has two daughters. A native of Los Angeles, Rabbi Klavan studied at Yeshivas Dvar Torah in Jerusalem and Beth Medrash Govoha in Lakewood. 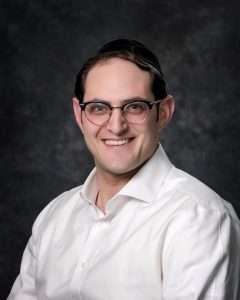 He arranged the reprinting of his great grandfather, Rav Yehoshua Klavan’s sefer, Divrei Yehoshua and he is currently overseeing the publication of drashos delivered by Rav Klavan at his shuls in Burlington, vermont and Washington, D.C. His wife, Malkie Klavan is originally from Detroit and volunteers for Bikur Cholim and other chesed organizations. The Klavans have two small children. Originally from Detroit, Rabbi Kroll has held teaching and leadership roles in Jewish day schools and camps. He was a Rosh Chaburah at Beth Medrash Govoha, where he learned after studying at Yeshivas Ner Hatalmud in Jerusalem. Rabbi Kroll’s wife, Hindy Kroll holds a Masters in Special Education and worked with elementary school students in New York. 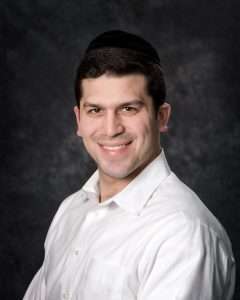 Rabbi Kroll enjoys working with children and ran a successful sports camp for Jewish boys. The Krolls have three children. 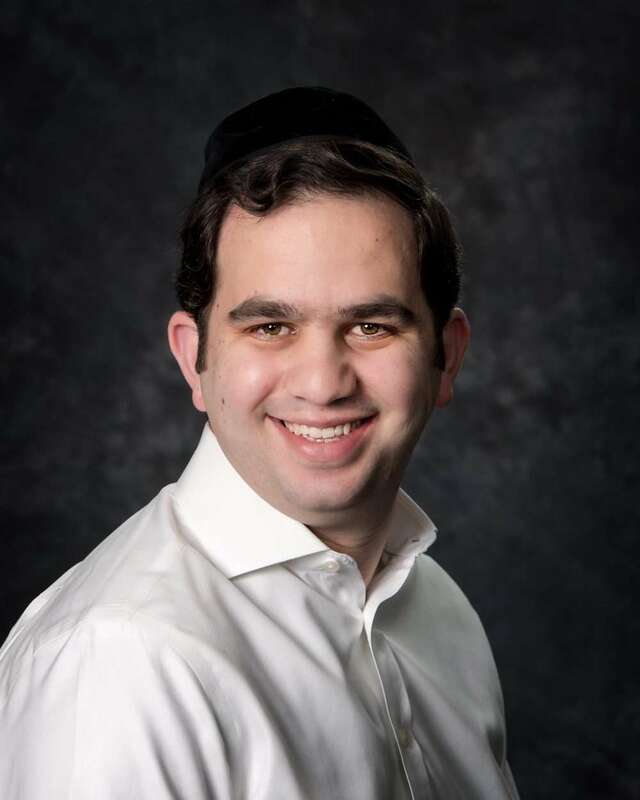 Rabbi Rosenfeld is originally from Lakewood, New Jersey, where he learned at Beth Medrash Govoha. Previously he studied at Rav Meir Soloveichik’s Yeshiva in Jerusalem and Reb Meir Stern’s Yeshiva in Passaic, New Jersey. Rabbi Rosenfeld is married to Rivky Rosenfeld who works as a title officer for Madison Title Agency. The Rosenfelds have two little boys. Rabbi Sochaczewsky has learned in Beth Medrash Govoha and Mishkan HaTorah in Lakewood. He also learned at Ner Moshe in Jerusalem under Rav Shalom Schecter. Rabbi Sochaczewsky has had outreach and leadership training through Ner LeElef as well as special education training tailored for Jewish content and skills. Rabbi Sochaczewsky’s wife, Esti Sochaczewsky holds a Masters in Speech Language Pathology and specializes in social skills training. She currently works as a speech therapist at St. Rita’s School in Solon. Originally from Brooklyn, the couple has three girls.